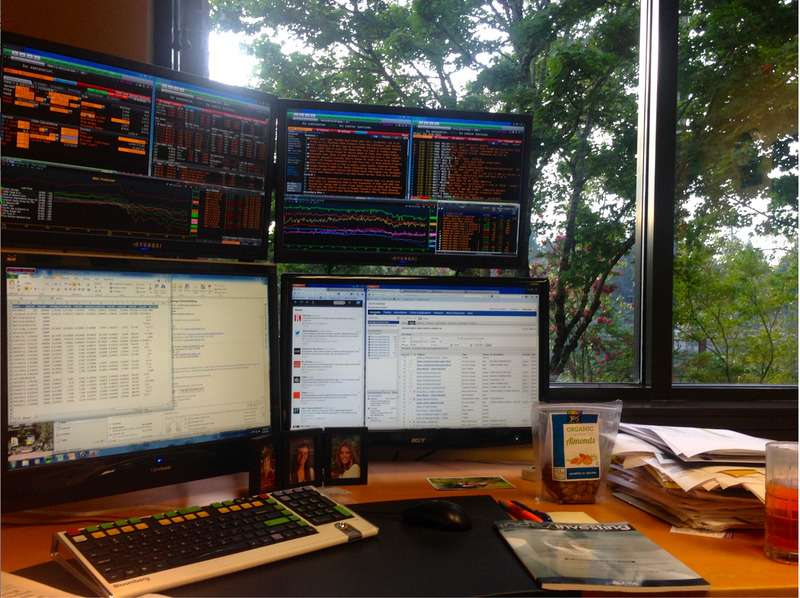 Consider this a friendly reminder of what really matters — the place you call home.For traders, home is their desk. It’s where markets happen (and markets = life). 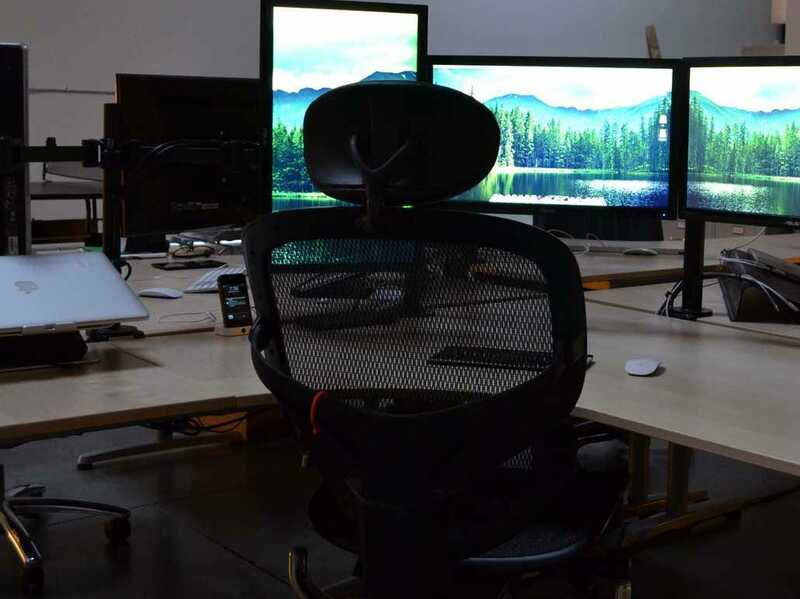 That’s why we asked our readers to send us photos of their desks to check out how people are doing this all over the world.They obliged, and we put the photos together in this slideshow. 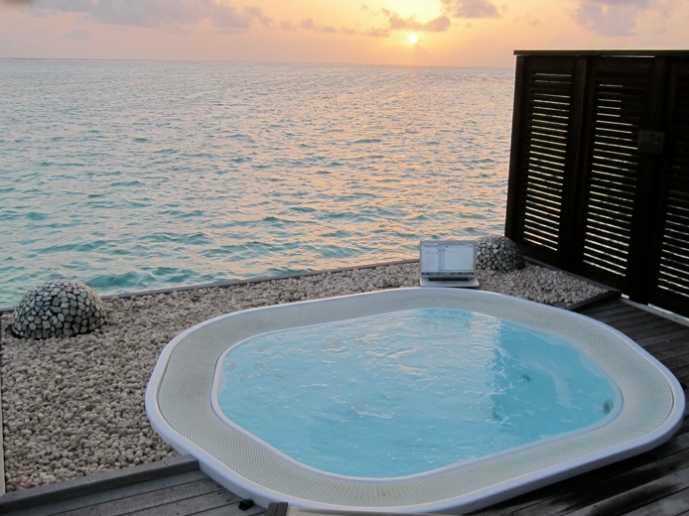 Check out these trading spaces. 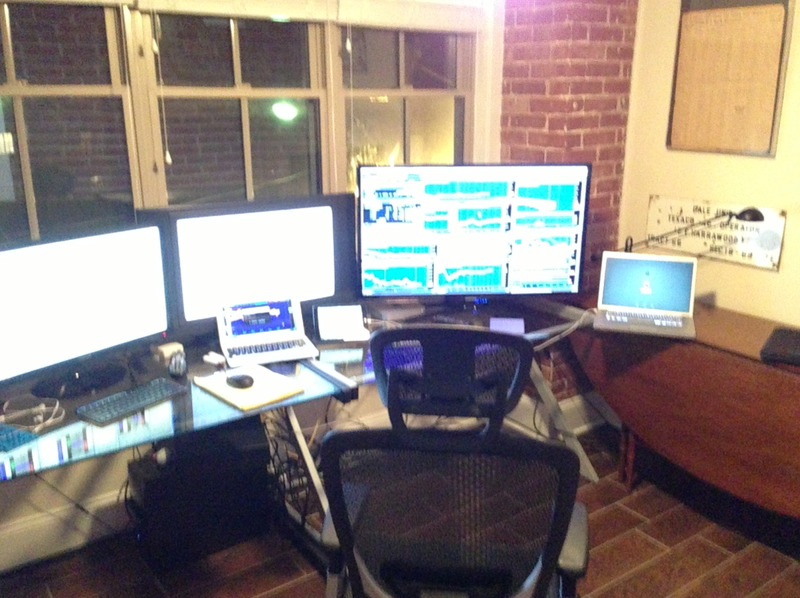 The 8Binary Trading Revolution is here. 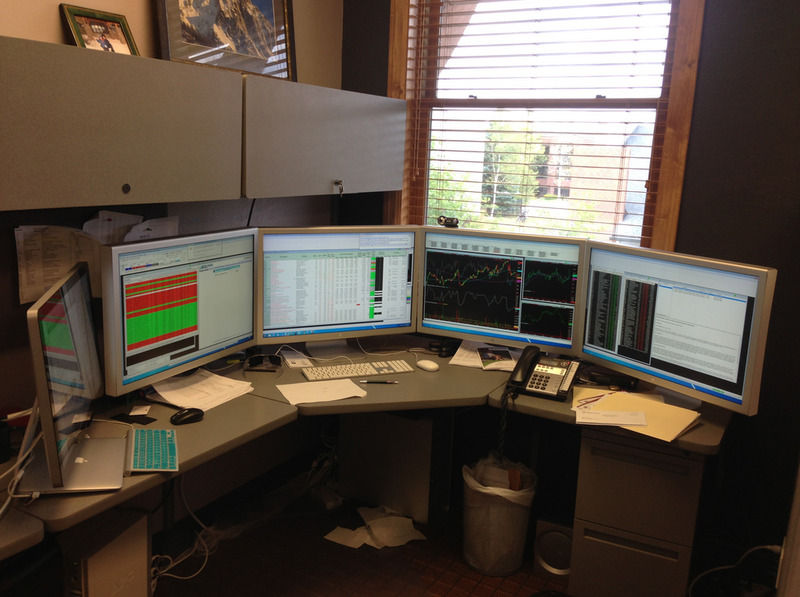 A Chicago-area trader sent us this desk. 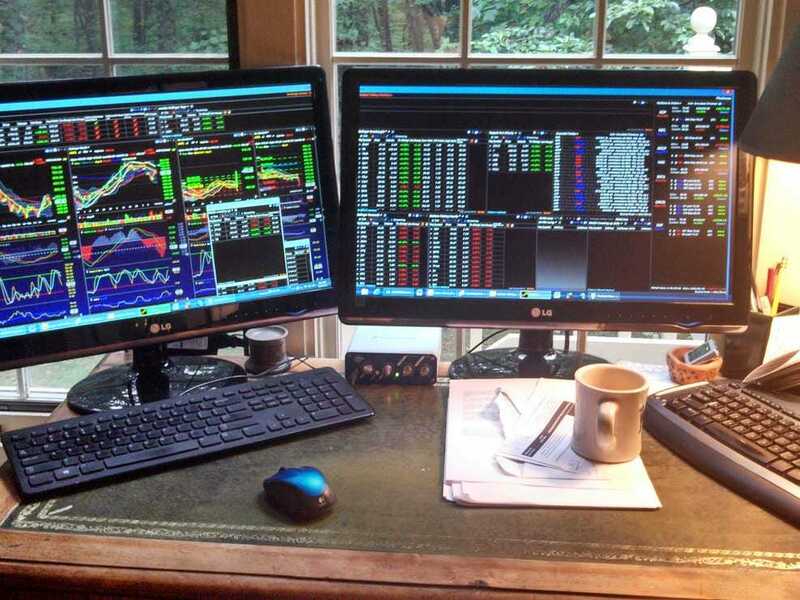 He trades options, commodities, and stocks. He uses CQG and EOS as his trading platforms. 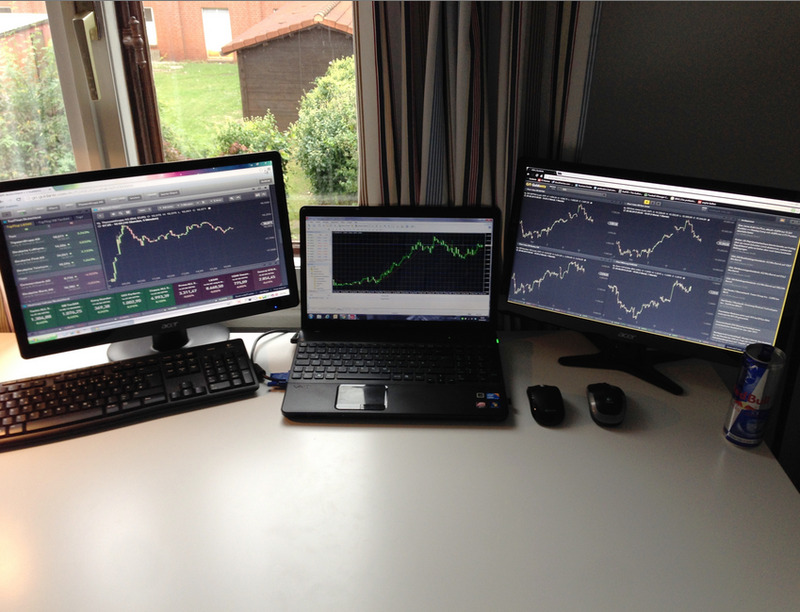 This set-up belongs to a pair of forex traders in Malaysia. 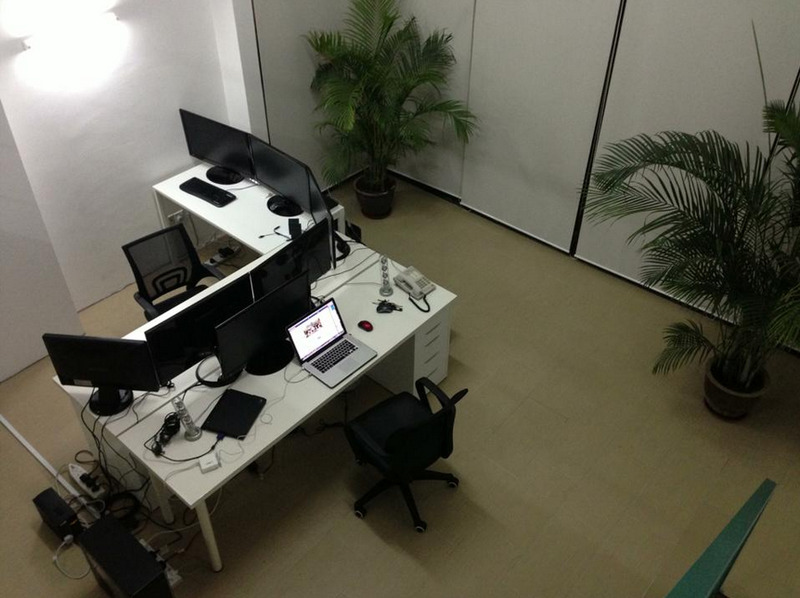 ‘We make our office as spacious as possible with minimum clutter and with as much green as possible. We have a fridge loaded with food and drinks. We have a sofa bed that we can use for relaxing or resting. Our place is so conducive, we do not want to trade anywhere else,’ one of the traders tells us. 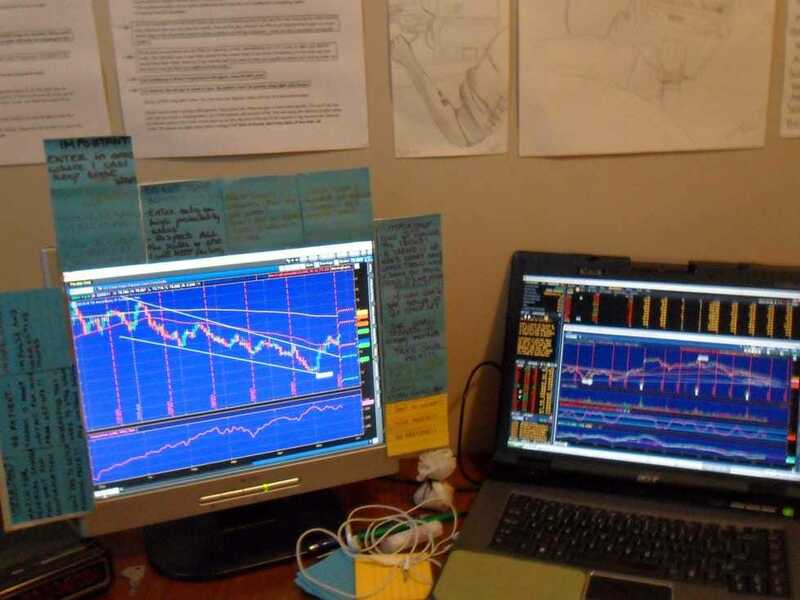 This is the same trader’s office set-up. He uses TT, CQG, and CTS trading platforms. 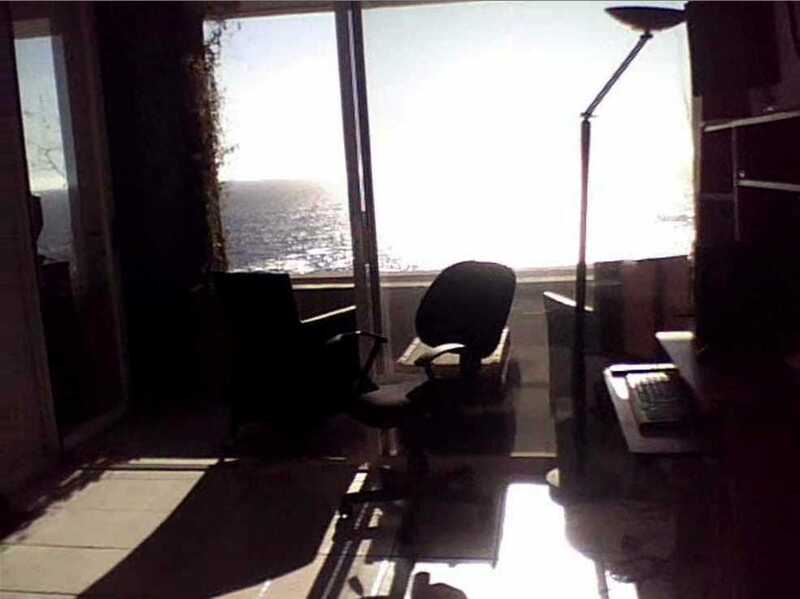 Located in Viña del Mar, Chile, this trader has a front-row view of the Pacific Ocean. The trader told us that he uses TOS platform and Traders Audio. 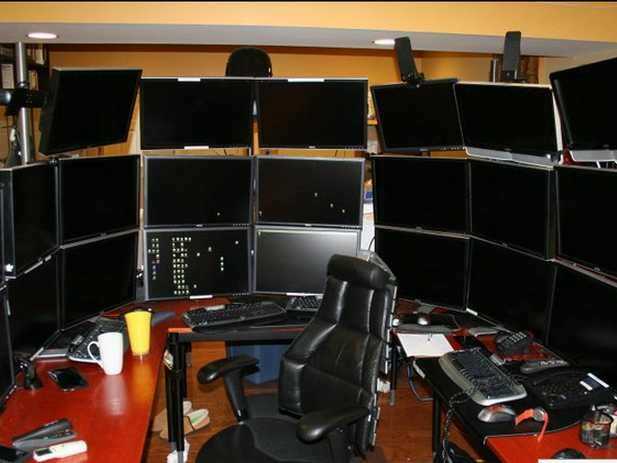 He has four monitors and a MacBook and watches Bloomberg TV and CNBC. 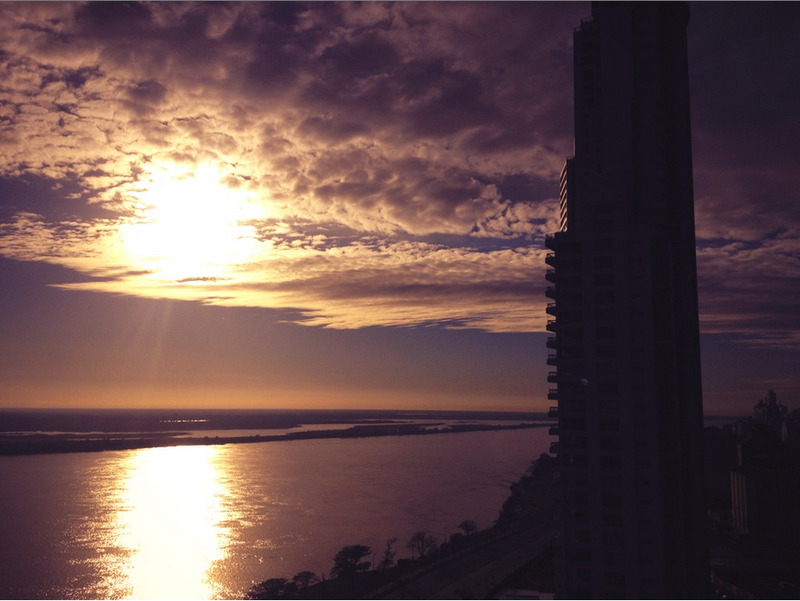 These Argentine commodities traders have a sick view too. 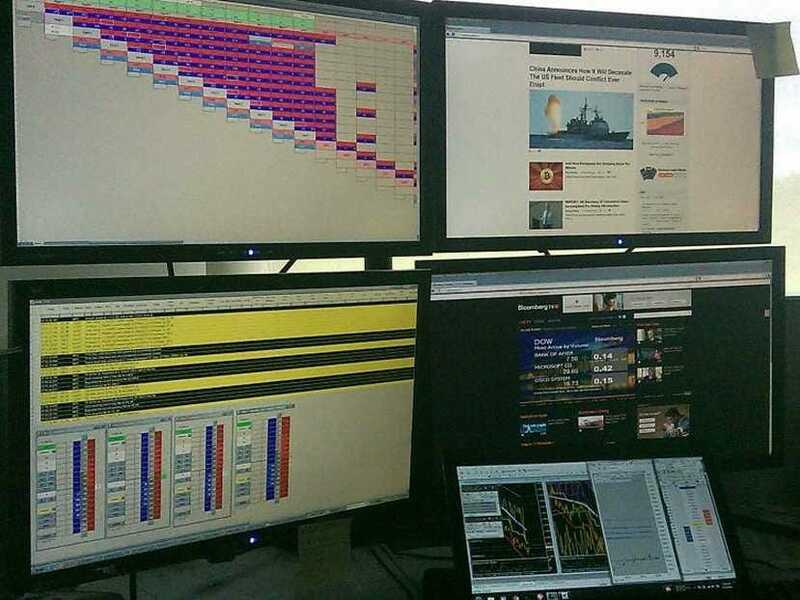 But first, their set-up: They use a Reuters terminal for news and charting and their platform is FIX Protocol. And no, they don’t usually have flowers — it’s a special occasion. 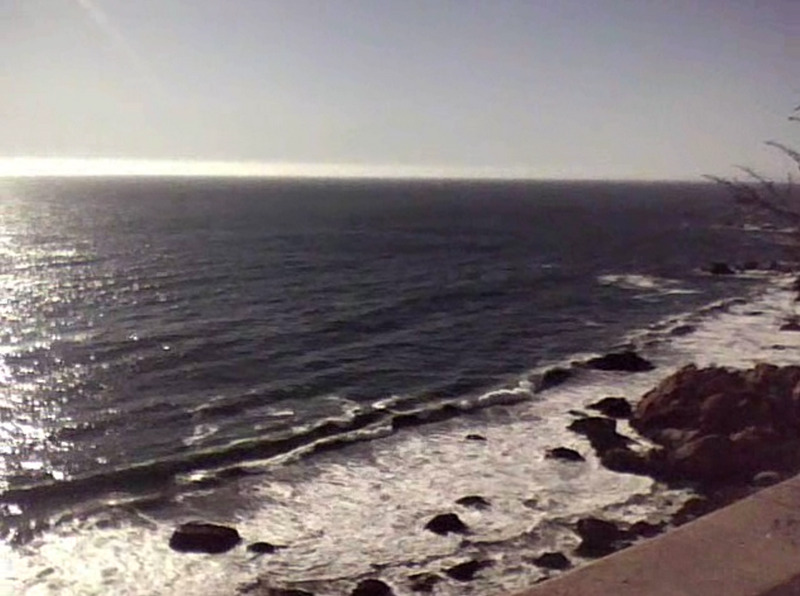 Here’s the view! 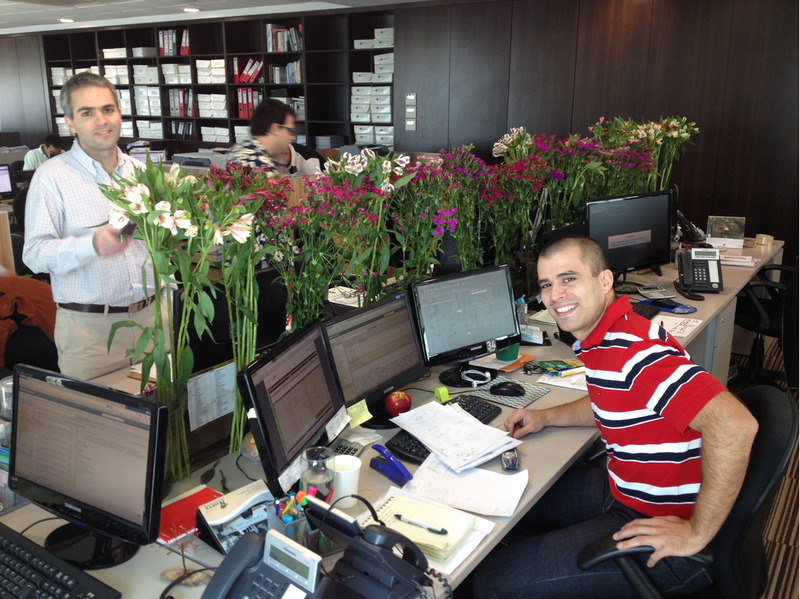 It’s of Argentina’s Parana River, and their office is in a town called Rosario. 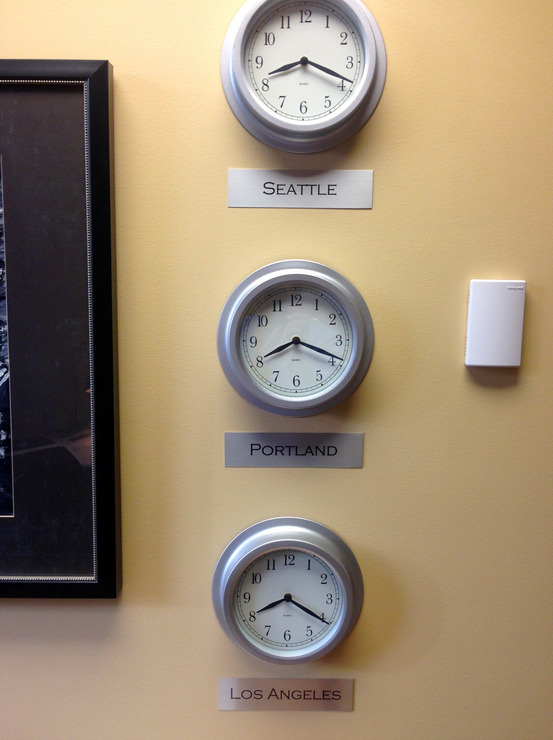 This photo is of a fixed-income desk belonging to a buy-side RIA in Oregon. Clearly he’s got some lovely vegetation in his view. This trader likes to keep it ‘simple and sweet’ with a backyard view. 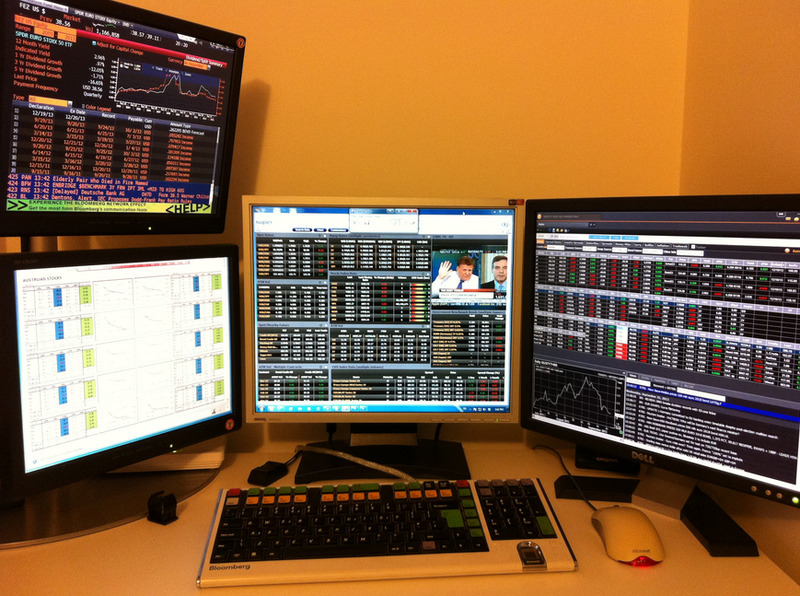 This trader uses two 23-inch LG wide-screen monitors connected to a DELL i7 windows 8 with 12 gig of memory. 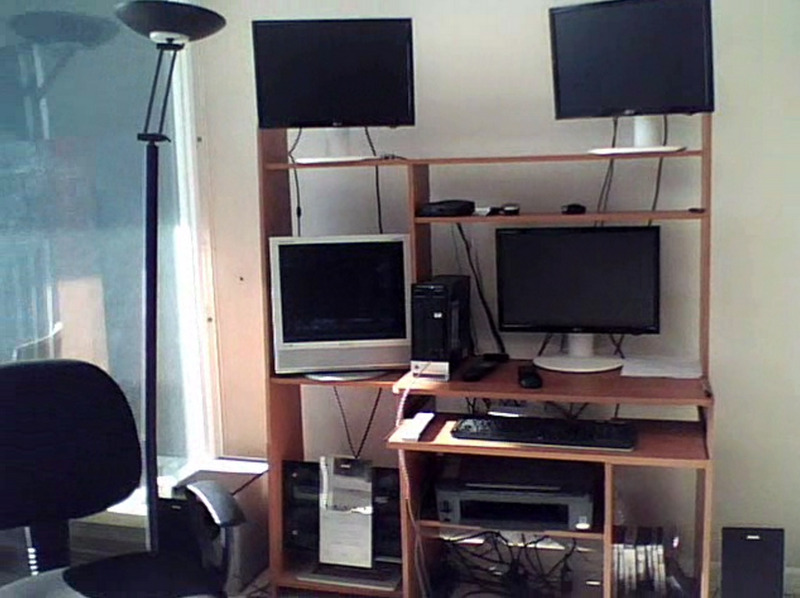 The second keyboard on the right is Bluetooth-connected to an old Dell laptop that can be switched on the left monitor. He trades on Interactive Brokers TWS desktop platform. We’re not sure where this trader is based, but we like his style. 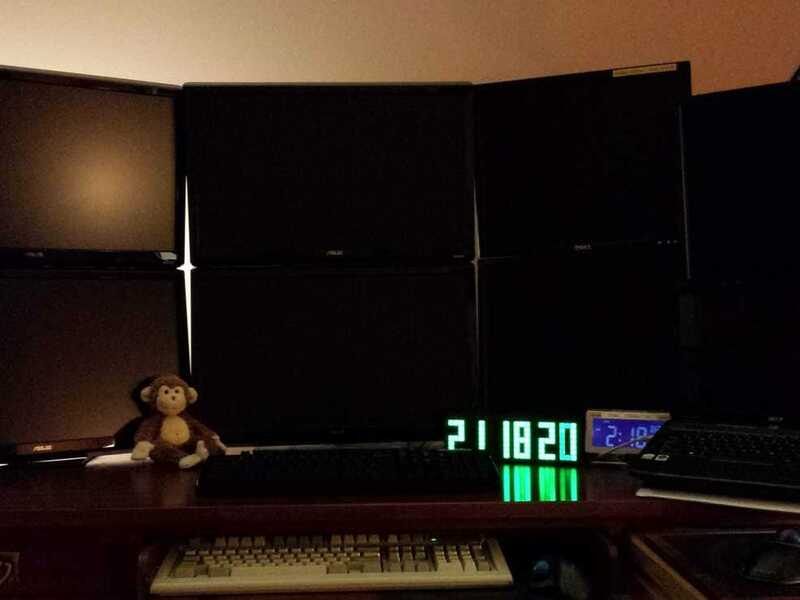 This Chicago-based options trader has an astonishing 15 panels. 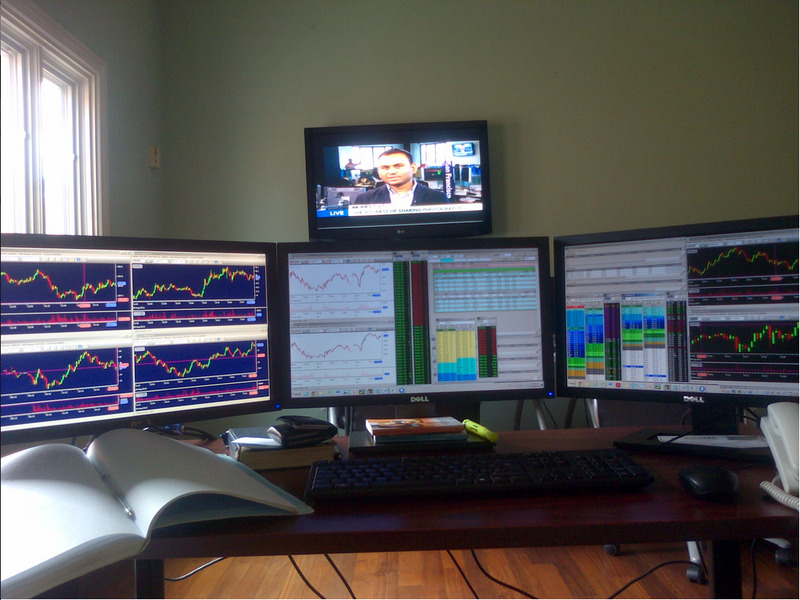 He uses OptionsCity Metro for his trading platform and watches a variety of financial-news outlets — and sometimes ESPN. 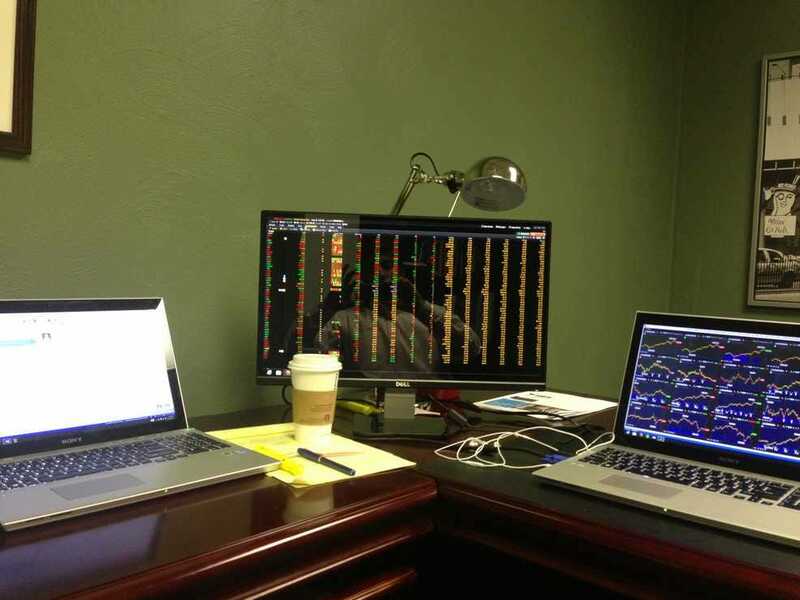 This sleek set-up belongs to a trader turned financial adviser based in Pittsburgh. He uses ThinkorSwim by TDAmeritrade. He mostly runs an ETF based strategy. 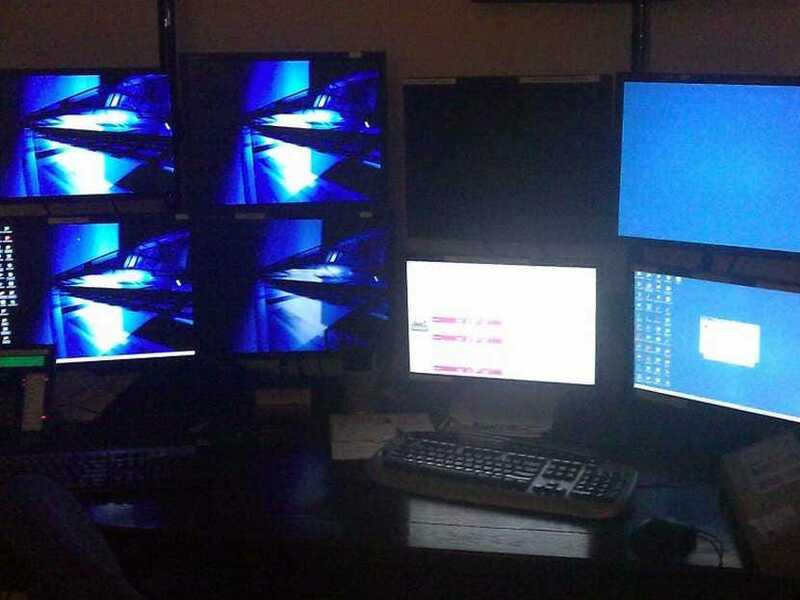 Not the best-quality picture, but we dig the set-up. 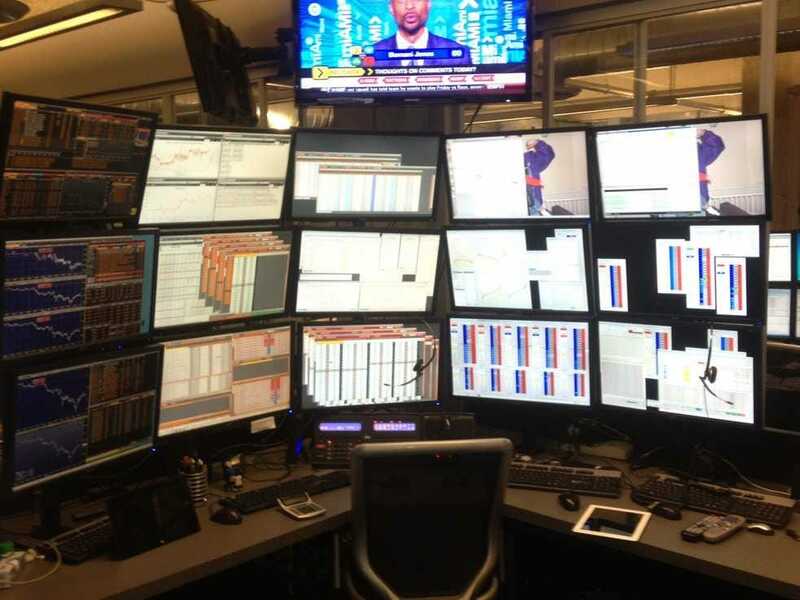 This futures focused trader is using two CPU and two laptops. 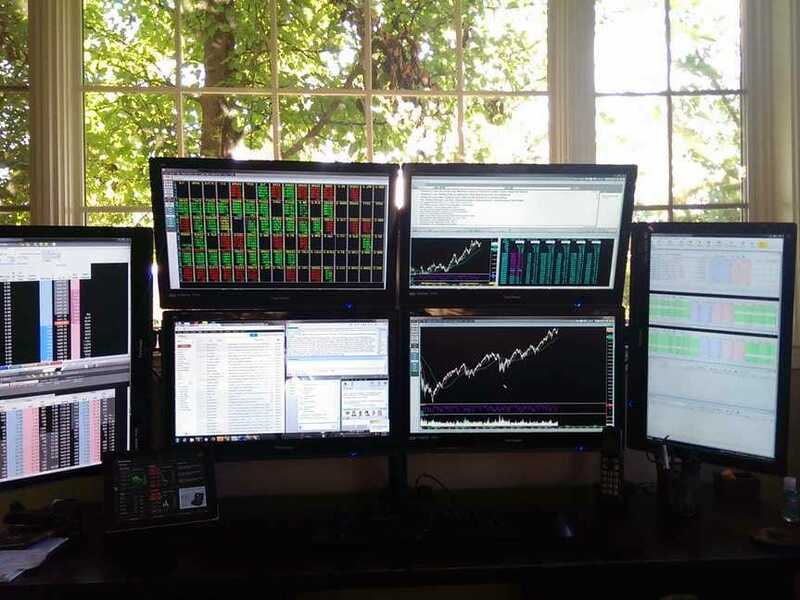 This desk is in upstate New York, ‘surrounded by forever wild woods and amazing wildlife.’ The trader says he has eight screens in total. 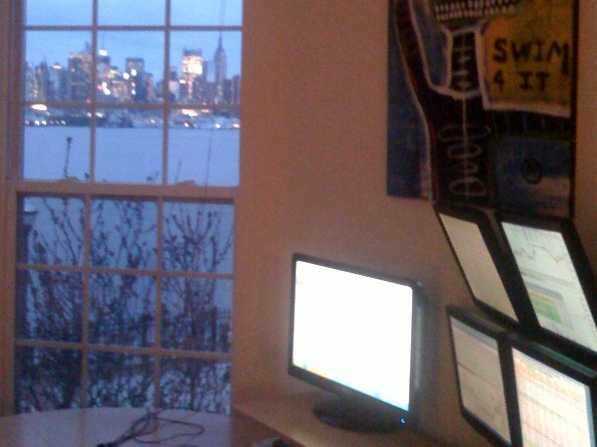 He prefers Bloomberg TV to any other television source, and he loves following Twitter. 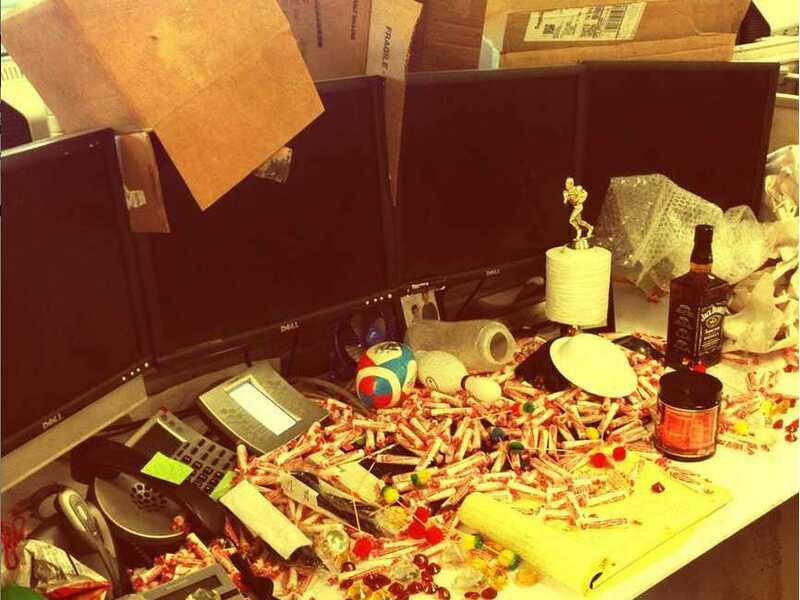 This may be our favorite — one trader’s Houston-based traders desk upon coming home from vacation.